The Middlebury College Figure Skating Club is a non-competitive figure skating program open to children of all ages and abilities in the local community. It runs from October through February. Practices are at Middlebury College’s Kenyon Arena. 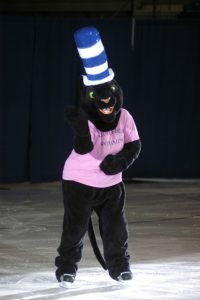 They culminate in all groups participating in Middlebury College’s Winter Carnival Ice Show. Must turn 5 by December 31. Registration through the box office. Please also visit the Club’s website to find the required registration and waiver forms as well as a schedule for the lessons. Intermediate and Advanced Skaters will have the opportunity to join the Theatergroup in January (at no extra cost) and Advanced Skaters will be supported in their solo numbers (if they wish to perform solos). Families will have costume expenses. Parents are asked to volunteer at times to help out. This entry was posted in Midd Blogosphere and tagged children, For Faculty, For Staff, MiddPoints on October 4, 2016 by Corinna Noelke.